With over 140 years of experience caring for the needs of our patrons and their loved ones, Lindquist’s funeral directors understand the importance of dignified and respectful services held in superior facilities. They have been constructed with regard to comfort and convenience and each mortuary can accommodate parking for over 100 cars. All seven Lindquist Mortuaries are easily accessible by the disabled. We invite you to learn more about our beautiful mortuaries and welcome your visit at any time for a personal tour. Lindquist’s Ogden Mortuary was dedicated in 1942 by President David O. McKay, a member of The Church of Jesus Christ of Latter-day Saints First Presidency and future Church president. This landmark facility serves people of all faiths in an atmosphere of peace and serenity. 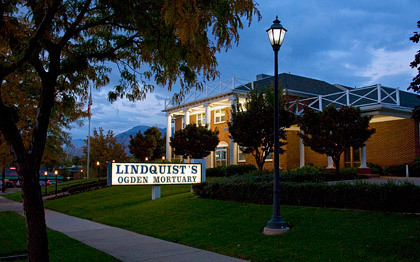 Up to 1997, when Lindquist’s Layton Mortuary was dedicated, Lindquist’s in Ogden was the largest mortuary in Utah. Lindquist’s North Ogden Mortuary was established in 1981. It serves families in northern Weber and southern Box Elder Counties. To serve growing west Weber and northwest Davis Counties, Lindquist’s Roy Mortuary was dedicated in December, 2004. Featuring the same architectural design as Lindquist’s Layton Mortuary, the Roy Mortuary offers convenient access, ample parking, and comfortable surroundings with quiet dignity. Lindquist’s Clearfield Mortuary is located on the grounds of the Clearfield City Cemetery. Originally established as the Sunset Mortuary, the Lindquist family purchased the mortuary in 1948. Extensive remodeling of the building, including the addition of a funeral chapel, was completed in 1955. The building was again remodeled in 1990. 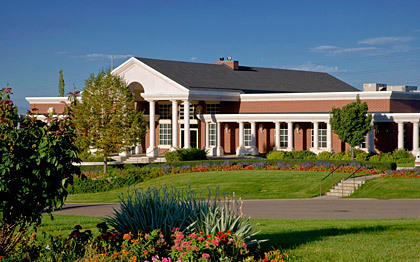 Lindquist’s Layton Mortuary is the largest mortuary facility in Utah. The original Lindquist’s in Layton was established in 1984 but soon outgrown. 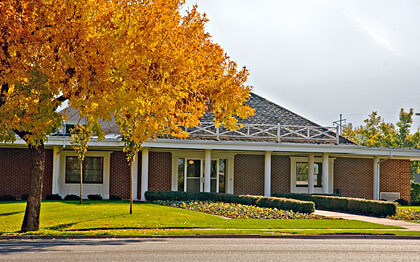 In 1997, the new Lindquist’s Layton Mortuary opened its doors on the grounds of Lindquist’s Memorial Park at Layton setting a high standard of excellence. 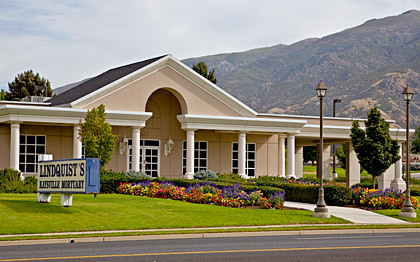 Lindquist’s Kaysville Mortuary was established in 1960. Undergoing extensive renovations in 1999 to better serve growing Farmington, Fruit Heights, and Kaysville, Lindquist’s Kaysville Mortuary is managed by Norris R. Nalder who succeeded his father, Norris W. Nalder. 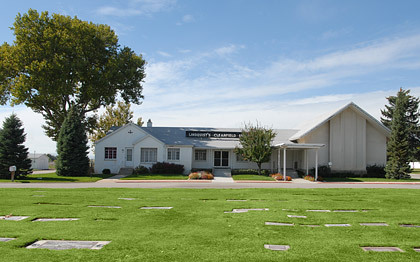 Lindquist’s Bountiful Mortuary was established in 1966 to serve the communities of southern Davis County. 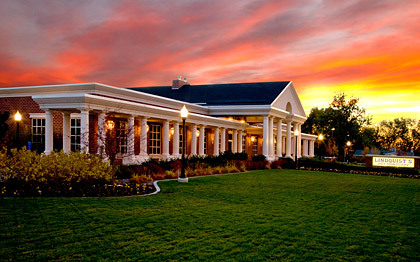 In 2003, both the building and grounds were extensively renovated to create one of Utah’s premier mortuary facilities. 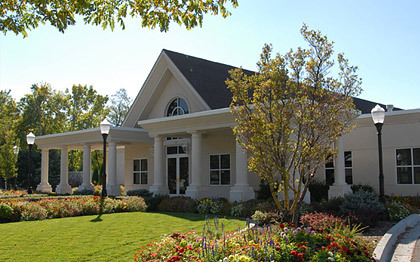 With chapel seating for 250, parking for over 100 cars, a private clergy room, warm and large visitation rooms, elegant décor, and accessibility for the disabled, Lindquist’s Bountiful Mortuary is truly a superior facility staffed with highly qualified and experienced funeral directors.